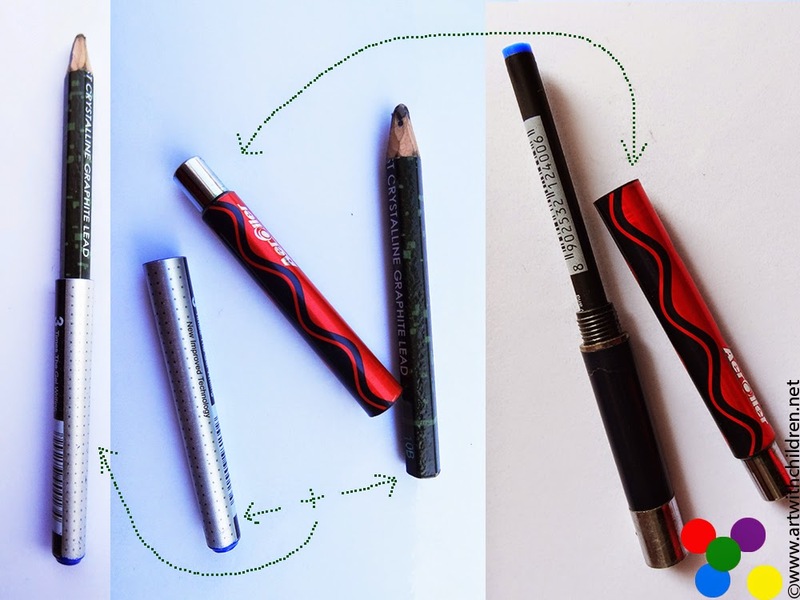 What can we do with our favorite pencils when they start getting shorter and we do not want to chuck them into the bin as yet? How to extend a pencil then? One way is to find old pens that can fit in as extenders as shown below. 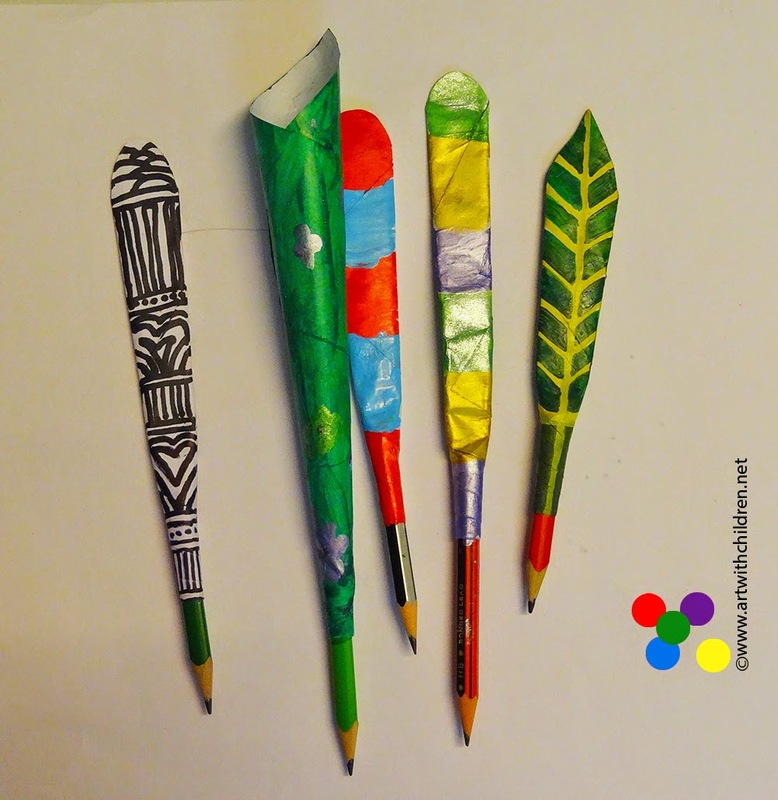 However it is not feasible to find old pens to fit our pencils always! 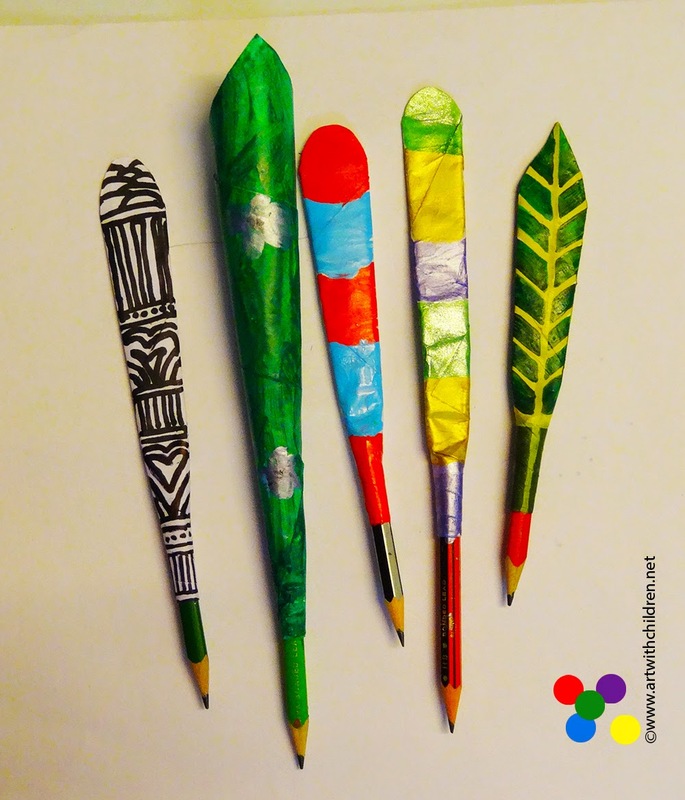 Here is another simple way to extend those pencils once they get too short to hold and this also makes a nice weekend activity with children! Start from the last 2 or 1.5 inches of the pencil. Spread out the glue before rolling. 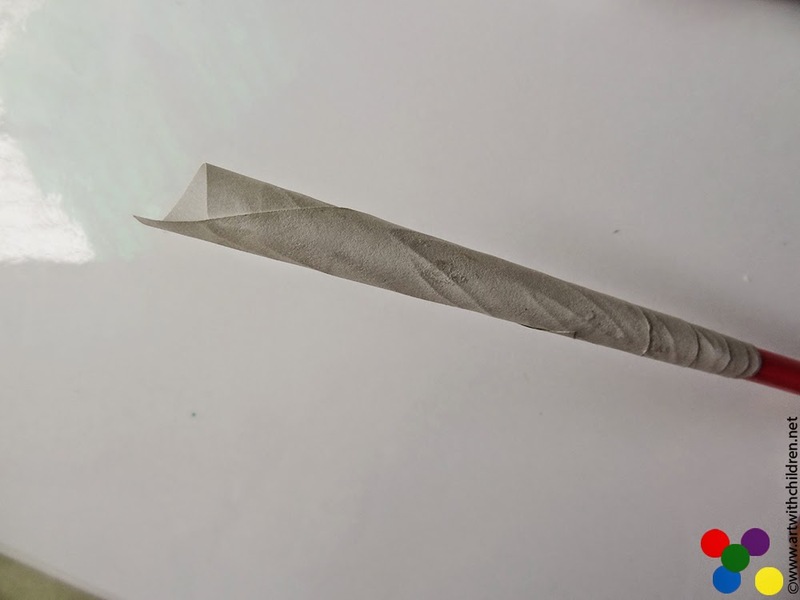 Hold the pencil for a better grip on the paper while rolling. For someone who's a novice with paper rolling activities, might need to experiment a little to roll the paper accurately, although it looks easy. 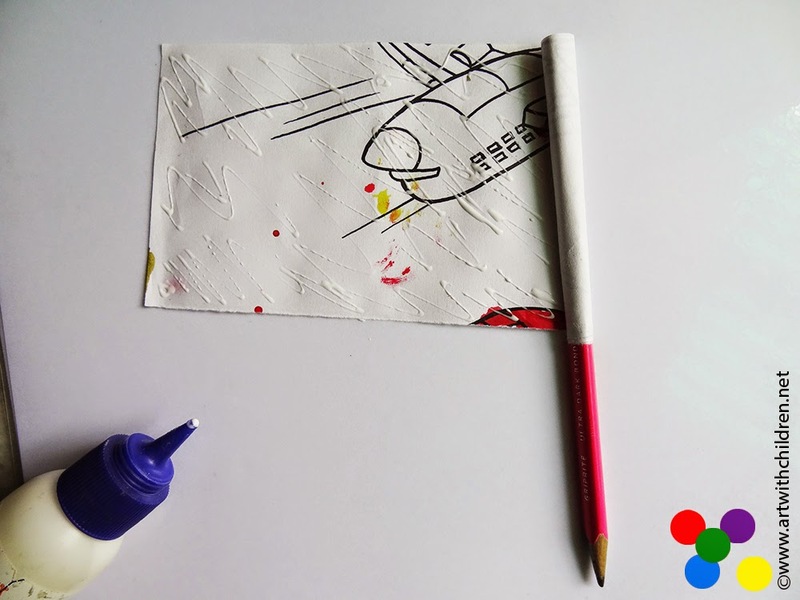 If it is a used a4 size paper, one fourth of the sheet will do or it depends upon the size of the pencil stub. If the paper feels slightly thinner, cut out a longer bit to roll, so that it does not easily bend or break. Add a drop of glue into the opening on the top and press to form a flat shape. Cut it to trim the edges. Paint it into a feather or leaf. 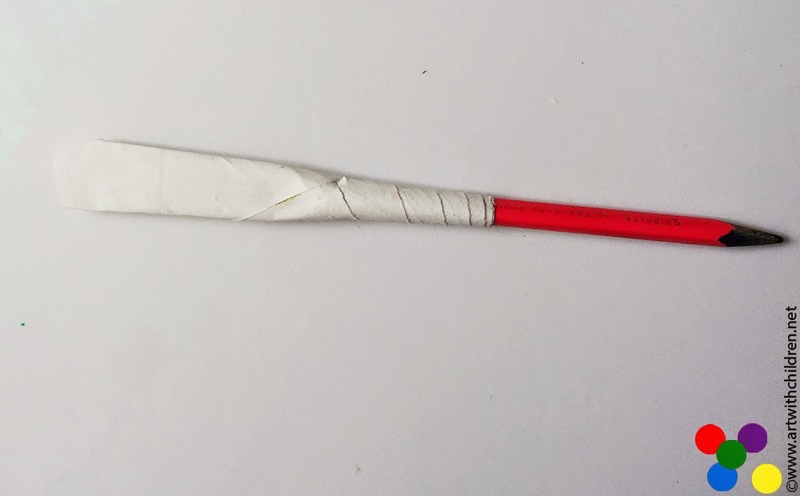 The above pencil was rolled with a glossy magazine paper and its edges were cut into a stiff tassle. 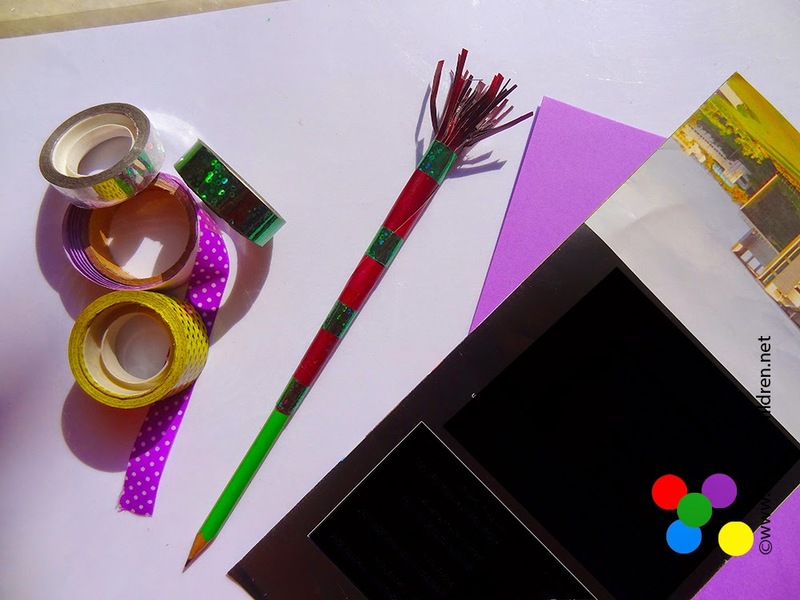 Decorated with a sticky tape to add extra color and it is all set to do some amazing drawing and writing!! My children from the grade 3, 4 and 5 tried to make them without help and they turned out into nice personalized gifts as well! The preschoolers, grade 1's and 2's needed help in sticking/ rolling the paper and rest was fun!! !